Many new and established companies are producing products, from vegan ice cream to vegan burgers. Casco-based startup Freshiez first rolled out its all-vegan and all-organic veggie crumbles and burgers to independent grocery stores in April. Six months later, sales have quadrupled, the company says, and restaurants are requesting the pre-cooked products intended for grocery stores. “You never know when you create something how people are going to react,” said owner Wesley Acker, a chef who recently added Nosh, Slab and Flatbread, along with the Sugarloaf and Sunday River ski resorts, to the list of restaurants serving Freshiez. The plant-based products can be found in southern Maine health food stores and local markets, including Lois’ Natural Marketplace in Portland and Scarborough, Royal River Natural Foods in Freeport, Morning Glory Natural Foods in Brunswick and the Portland Food Co-op. “It’s been a dream come true,” Acker said. 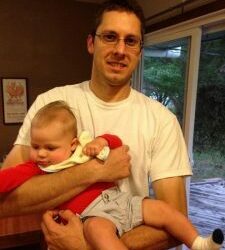 Next he hopes to get his products into the freezer cases of the major supermarket chains. The Freshiez crumbles and burgers are part of a new wave of plant-based products made in Maine that have hit store shelves in recent months. This abundance of homegrown vegan food launches mirrors a similar global uptick in new plant-based retail products. At the annual meeting of the Institute of Food Technologists in Las Vegas in June, Netherlands-based Innova Market Insights released data showing the number of food products launched with a plant-based claim grew 63 percent from 2011 to 2015. Here in Maine, the new vegan food products originate with both startups and those with a proven track record. 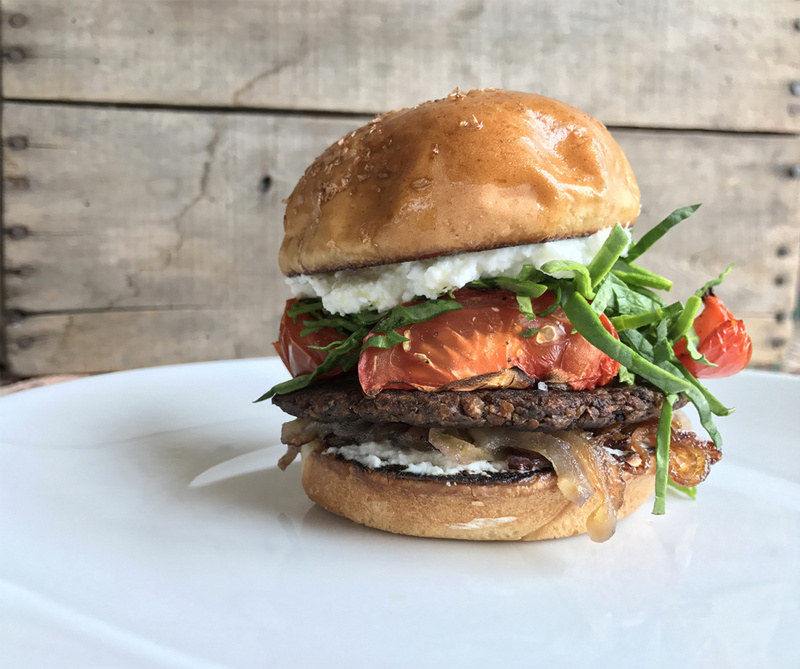 Westbrook-based Blue Mango started in 2007 with its signature black bean and spinach veggie burger, which was a best-seller at the former West End restaurant of the same name. Today the Blue Mango burger can be found in grocery stores and restaurants across the state and throughout New England. 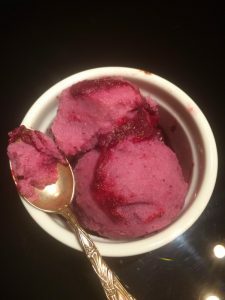 In April, Blue Mango owner and chef Constantino Lallo released a new flavor: ginger-beet. It’s available only in restaurants for now, but Lallo expects the retail packaging will be complete by November so his distributors can sell it to retail customers. 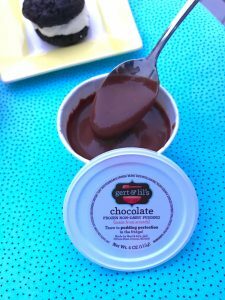 Plant-based treat company Gert and Lil’s sells dairy-free puddings and a new line of cookies, including the cookies and creme, which is similar to a whoopie pie. Beet juice has become the go-to ingredient to make veggie burgers “bleed,” used by vegan cookbook authors and even national veggie burger brands, such as Beyond Meat’s burger found in supermarket meat cases. Lallo said he chose beets for the burgers not to make them look like hamburger but for their nutrition and flavor. Another area of growth for local food companies is plant-based dairy products. One such business is Yo’Novare of Portland, which makes a yogurt by culturing milk created from a blend of chickpeas, lentils, almonds, cashews, pumpkin seeds and soybeans. Launched this summer, Yo’Novare is for sale in two flavors – plain and vanilla – at the Portland Food Co-op and both Lois’ Natural Marketplace stores. Yo’Novare is working on more flavors to offer by the New Year. The path forward for The Whole Almond, which started selling its organic almond and cashew milks in 2016, has recently involved selling two new vegan cookies at farmers markets and experimenting with flavored milks. Next month, The Whole Almond will launch a vegan eggnog at the Portland Food Co-op. Come winter, Myranda McGowan, who owns the Portland-based company, plans to produce chai milk and coffee milk, too. 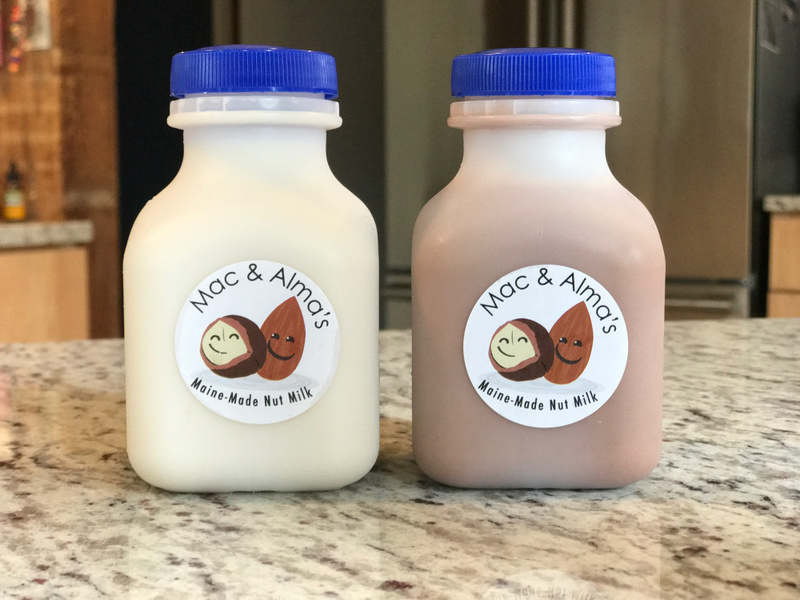 Mac & Alma’s is a nut milk company that launched last month and is offering home delivery of its flavored drinks. In September, Mac & Alma’s became the latest plant-based milk maker to set up shop in Portland. The fresh nut milk producer uses organic almonds and macadamia nuts to make flavored milks such as chocolate, pumpkin spice and eggnog. While The Whole Almond wholesales its product to retailers and restaurants and sells direct at farmers markets, Mac & Alma’s is pursuing an all direct-sales model. “I’m going to be like the old-fashioned milkman because people need to get it fresh,” said Mac & Alma’s owner Anne Williams, who is creating a subscription service with free deliveries in the Portland area. Sauce maker MaineFlavor launched a line of vegan ice creams this summer with flavors including blueberry-rhubarb almond. The ice cream is sold in pints and half-pints. 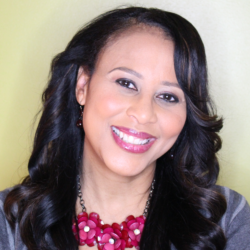 Williams said her milks appeal to people who want “to eat clean.” Like McGowan’s customers at The Whole Almond, Williams’ customers not only want to avoid dairy but also gums, emulsifiers, preservatives and other additives commonly found in boxed plant-based milks. Sold frozen, the pudding is available at the FarmStand in Freeport, until it closes for the season Nov. 1. “One of my goals is to get into more stores,” Mayo said. Until then, she takes special orders via Facebook. MaineFlavor, which sells a line of sauces, started making frozen vegan treats this summer. The Brunswick-based company combined milk from The Whole Almond and its own sauces to make a line of dairy-free ice cream pints and popsicles in flavors like peach melba swoon, dark chocolate ginger cashew and ginger-nut blackberry. “I thought, ‘What can I do that uses my sauces and the widest possible group of people can enjoy it?’ ” said MaineFlavor owner Susan Purcell. The answer? Ice cream. The MaineFlavor vegan ice cream is available at the FarmStand in Freeport and will be at the Brunswick Winter Farmers Market, when it opens Nov. 11. Also in Freeport, Mom’s Organic Munchies has been in business since 2011 and last month its new line of cookie bites for kids arrived on shelves at Whole Food Markets and independent grocery stores. Available in three flavors – banana carrot, sweet potato apple, and chocolate chia beet – the cookies are all vegan and packed with whole grains, seeds, fruits and vegetables. While the company’s larger energy bars and cookies require refrigeration, these cookie bites don’t need it, as they’re designed for lunch boxes. “We’re getting a product out there that can be a snack for kids, is also healthy and is something they love,” said Mom’s Organic Munchies owner Betty Crush. And like all of these new plant-based products, the cookie bites are right on trend.